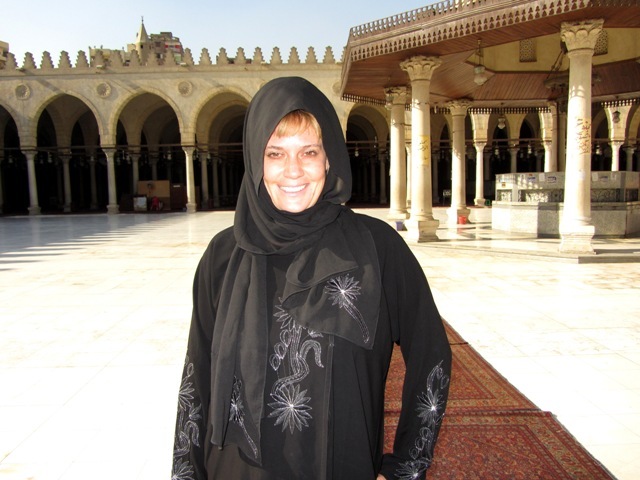 The Ibn Tulun Mosque is the oldest mosque in Egypt and one of the largest in the world. 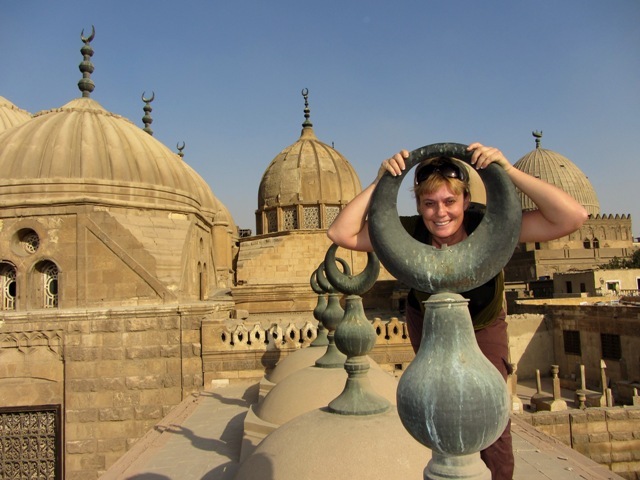 It was built by Ahmad Ibn Tulun built from 870 to 879 AD in order to accommodate all of his troops. 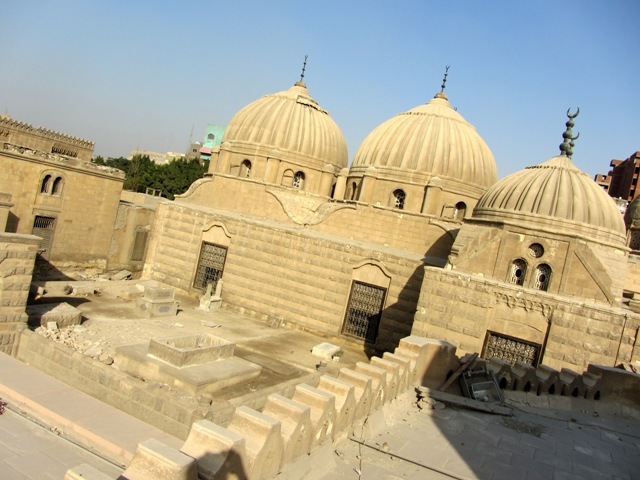 It was the third congregational mosque to be built in the Cairo area and the oldest mosque in Egypt that has survived mostly in its original form. Ibn Tulun was the son of a Turkish slave of Mongol origins owned by the Abbasid Caliph al-Ma'mun. From these humble origins he rose to great power, founding the Tulunid Dynasty (868-905 AD) of Egypt. Famed for its lovely architecture and unique minaret, the entire complex is surrounded by a wall and covers more than 6 acres with an area of 26,318 sq m, making it the third largest in the world. The arches of the courtyard galleries are decorated with beautifully carved stucco, the first time this medium was used in Cairo and the minaret, modeled after the minarets of Samarra, with a spiral staircase around the outside is the only one of its kind in Egypt. 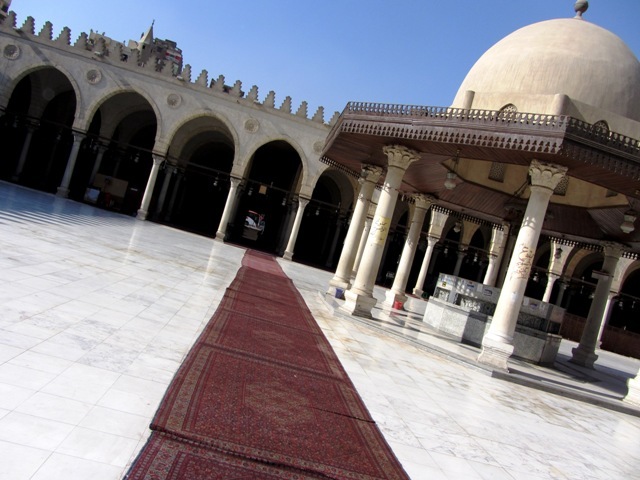 The cemetery of Hosh El-Pasha or Tomb of Mohamed Ali Family locates nearby the Square of Imam El-Shafey . 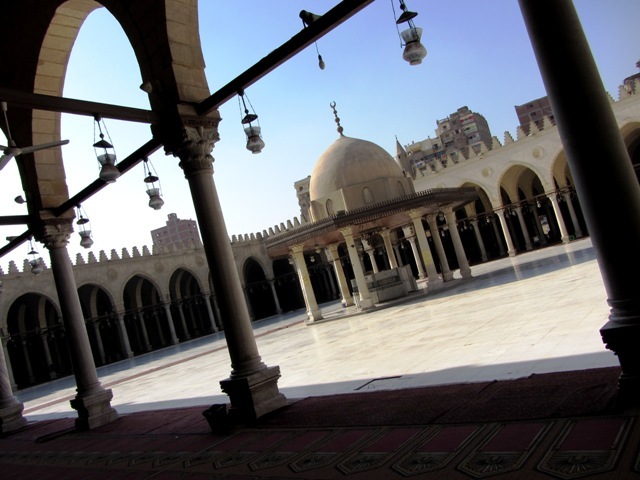 It was established by Ibrahim Pasha Ibn Mohamed Ali Pasha as a cemetery for the family. 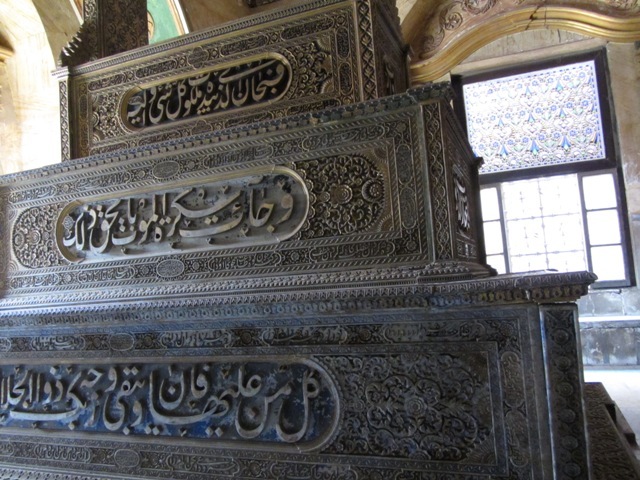 It contains the cenotaphs of the sons of Mohammed Ali , Ismail , Tusun , and Ibrahim in addition to their wives and siblings , their loyal retainers and some prominent noblemen and counsellors . Muhammad Ali was an Albanian commander in the Ottoman army, who became Wāli, and self-declared Khedive of Egypt and Sudan. Though not a modern nationalist, he is regarded as the founder of modern Egypt because of the dramatic reforms in the military, economic and cultural spheres that he instituted. He also ruled Levantine territories outside Egypt. 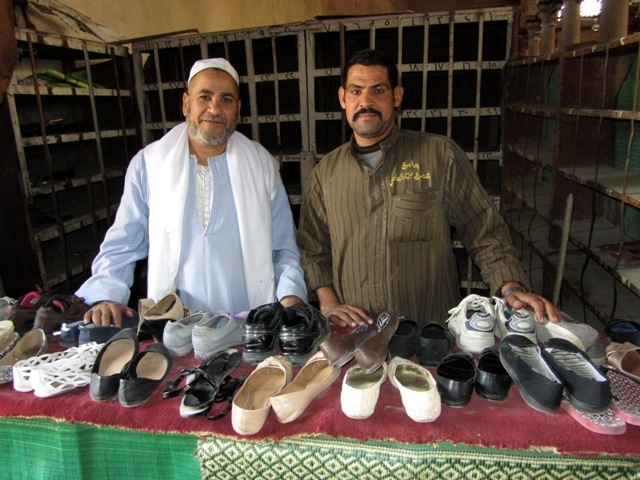 The dynasty that he established would rule Egypt and Sudan until the Egyptian Revolution of 1952. 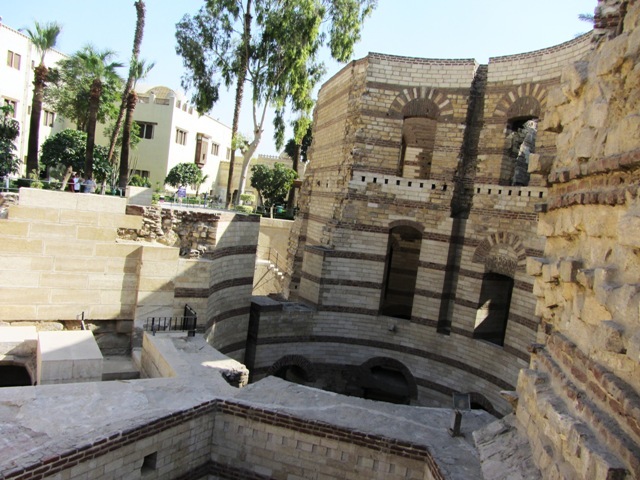 Despite the fact he had a large family tomb built; Muhammad Ali died at Ras el-Tin Palace in Alexandria on 2August 1849, and ultimately was buried in the imposing mosque he had commissioned in the Cairo Citadel. 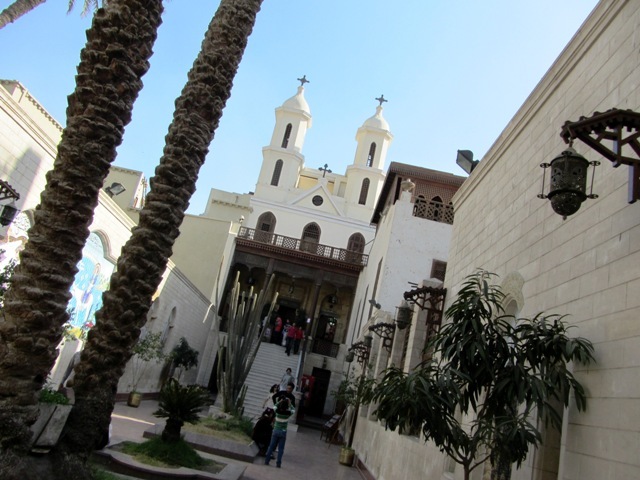 Wikipedia - Saint Virgin Mary's Coptic Orthodox Church also known as the Hanging Church (El Muallaqa) is one of the oldest churches in Egypt and the history of a church on this site dates to the 3rd century AD. The Hanging (The Suspended) Church is named for its location above a gatehouse of Babylon Fortress, the Roman fortress in Coptic Cairo (Old Cairo); its nave is suspended over a passage. 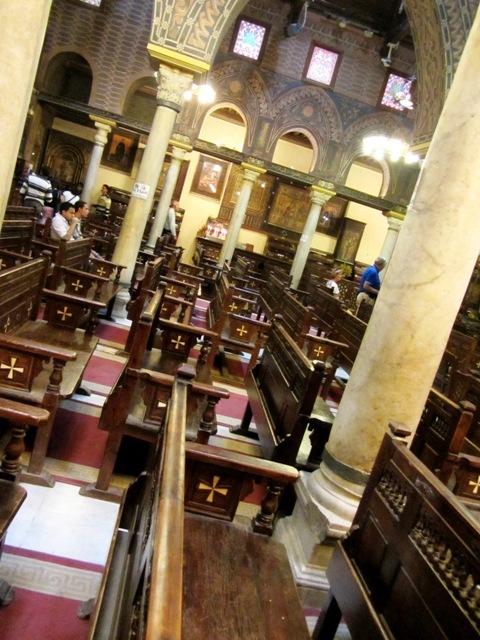 The church is approached by 29 steps; early travelers to Cairo dubbed it "the Staircase Church." The land surface has risen by some 6 metres since the Roman period so that the Roman tower is mostly buried below ground, reducing the visual impact of the church's elevated position. The entrance from the street is through iron gates under a pointed stone arch. The nineteenth century facade with twin bell towers is then seen beyond a narrow courtyard decorated with modern art biblical designs. Up the steps and through the entrance is a further small courtyard leading to the eleventh century outer porch. The Egyptian Museum of Antiquities contains many important pieces of ancient Egyptian history and houses the world’s largest collection of Pharaonic antiquities, and many treasures of King Tutankhamen including his famous gold death mask. Made from 11kg of solid gold, the mask is thought to resemble the king. Other items from his tomb are also on display including jewlery and other artifacts used by the king during his life. 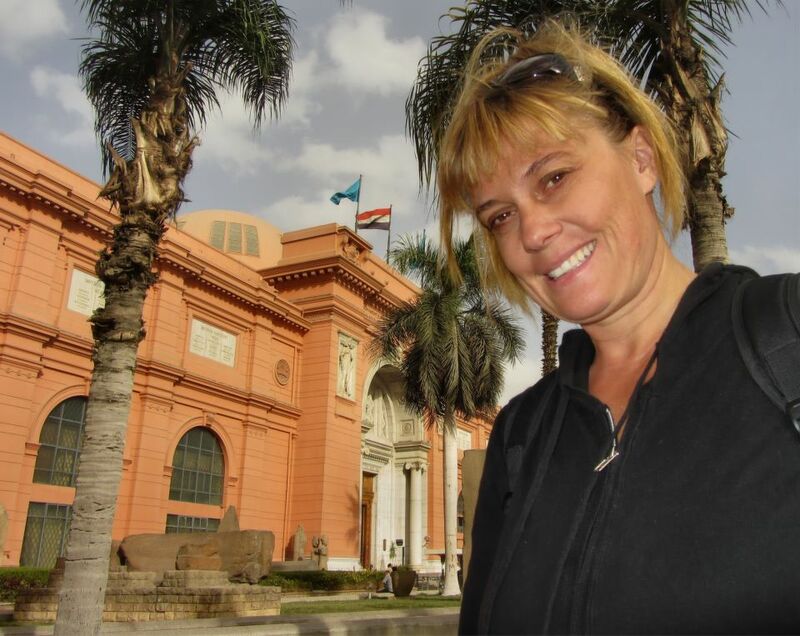 The museum also houses a collection of royal mummies including the mummies of Ramses II and Thutmosis IV, however, it costs an additional $100 LE ($16 US) to view the mummies. People wanting a guided tour of the museum can hire one of the many guides on hand that speak a variety of different languages. It takes 4-6 hours to view the museum. 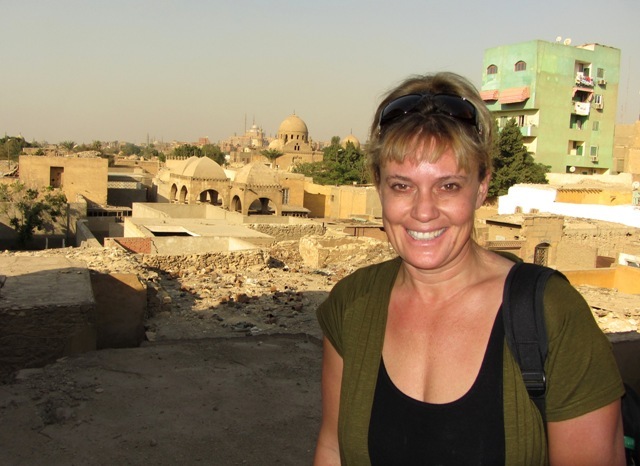 How to Get There - Fly into Cairo, take a cab to Giza and the pyramids or you can hire a guide at the airport.